MORRIS– State Representative David A. Welter (R-Morris) will hold a series of Town Hall Meetings throughout the 75th District over the next two weeks, giving constituents in Grundy, Kendall, LaSalle and Will Counties an opportunity to ask questions and share their concerns. Representative Welter will answer questions from the public and give a brief presentation on current state issues, with an emphasis on the state budget. 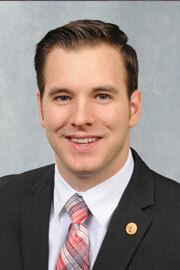 Representative Welter serves the 75thDistrict, which includes portions of Grundy, Kendall, LaSalle and Will Counties. For questions or more information, please call (815) 416-1475.